Do you often feel shy, nervous or awkward around others? Do you wish you could feel more confident in social situations? Then stick with me, because in this episode you’re going to learn three powerful strategies for developing confidence and ridding yourself of social anxiety. Let’s begin by asking ourselves specifically where we’d like to experience more confidence—where in life do you feel as though you struggle with this the most? Perhaps it’s approaching an attractive woman or expressing your opinions at work or mingling at parties. 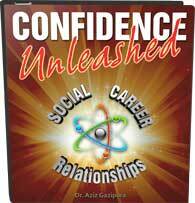 Pick the social situation in which you would most like to improve your confidence level. (if you ever have trouble remembering the three components, just call to mind the acronym, CPA). The first step is calmness—you must be able to calm yourself. This is actually a hugely important skill to develop if you want to increase the happiness in every area of your life, so if you struggle with anxiety or have trouble quieting your mind, I recommend you check out my program, The Confidence Code. While it obviously dives deep into developing confidence, the program also provides a wealth of simple yet effective exercises meant to aid your relaxation, comfort, personal growth, and overall emotional and mental clarity. If you want to see fast improvements in these areas, go to YourConfidenceCode.com to sign up! In the meantime, let’s go back to the main area of your life in which you’d like to develop more confidence. When you imagine the scenario in question and picture yourself in that situation, how does it make you feel? Do you get nervous? Do you feel fear? Let whatever emotions or physical reactions you experience in that moment begin to well up in your body. The biggest mistake that we make in our emotional lives is that we try to ignore, avoid or run away from feelings that cause us discomfort. We tell ourselves not to think about it; we try to trick ourselves into believing it’s not that bad; we swallow it down so that it’s hidden so deeply that we think it can’t hurt us anymore. That’s all wrong, and it’s not helping you move forward. If we want to begin to let go of these emotions, we have to face them head-on. Start right now by allowing the image of that moment to affect you. Take a deep breath in and just feel that emotion. Let whatever discomfort there is exist without running away from it, and resist the urge to fix it or solve it. Just leave it alone and breathe as you send it love and give it mindful attention. In the interest of time, I’m not going to guide you through the entire process, but if you stick with this for three minutes (maybe ten minutes, tops), you’ll begin to feel that emotion shift and subside naturally. If you let go and allow it to do its thing, you will realize that it’s not a threat to you and you will start to feel increasingly calm. The second letter in our acronym is “P,” which stands for power. To experience confidence, you must activate power in your body. Most people hardly ever activate any power in their bodies except for when they’re working out or playing sports, and sometimes not even then. Activating power in your body is all about creating a feeling of utmost physical energy—the way you’d feel right before the biggest sporting event of your life. Music can be an excellent tool in activating your power! I like to put on a song I love with a strong beat, turn up the volume, and just let myself go a little crazy. Whatever gets you jazzed and makes you feel strong, that’s what you have to do: push-ups, dancing, singing at the top of your lungs, running in place, fist pumping, whatever. Find a private place so that you can completely let go of any feelings of self-consciousness and just let ‘er rip. Once you begin to find the physical activation that works best for you and create a daily routine with it, you’ll notice that you begin to feel an activation of power just thinking about it—you’ll feel power coursing through your veins, and it will give you the energy to blast through any obstacle. Now we’ve reached the third and most important letter of the acronym: “A” or action. In order to reach a level of true confidence, you must take action—you must do the thing that scares you. It doesn’t need to be the most terrifying version of this action, either! You can start small. Afraid of talking to women? Start by saying hi to at least three women who walk by you per day. Too intimated to share your ideas in meetings at work? Start by making an effort to weigh in on what other people have to offer. The important think here is that you not beat yourself up over it every time you don’t succeed. If you have a habit of getting down on yourself after a less-than-stellar performance, you need to let that pattern go. Beating yourself up does not work. In fact, it’s probably setting you back even further, if not halting your progress altogether. Instead, try practicing self-compassion. Allow yourself to analyze the situation from a place of curiosity rather than defeat: wait until you’re in a comfortable setting by yourself and let go of self-criticism so that you can assess the situation rationally. This will be one thousand times more valuable to you than any sort of self-attack could ever be. Plus, when you approach the solution from a healthy place of compassion, you allow yourself the opportunity to more easily activate your power so that you can go out and try again! 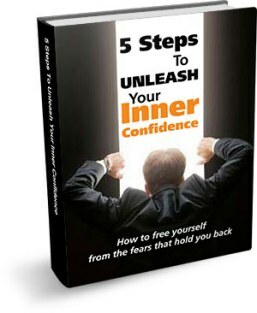 There are, of course, many additional techniques that will help you to develop your confidence (all of which I teach in detail in The Confidence Code), but by practicing these three tactics every day, you will begin to develop an incredible foundation for accomplishing the goals you have set for yourself in social circles and beyond. Please feel free to “like,” subscribe, and share your comments below. What is your number one social fear? What sort of power activation works best for you? Continue to keep the lines of communication open so that we can learn from each other and grow in the spirit of increased confidence and emotional wellbeing!